House of Juice - a unique juicery tavern hybrid blending the best offerings of organic juice bars & slowing it down with the traditional social & relaxing culture of New York City bars. House of Juice is a farm to table juicery, brewery & restaurant. This summer we're bringing the juice to Prospect Lefferts Gardens. 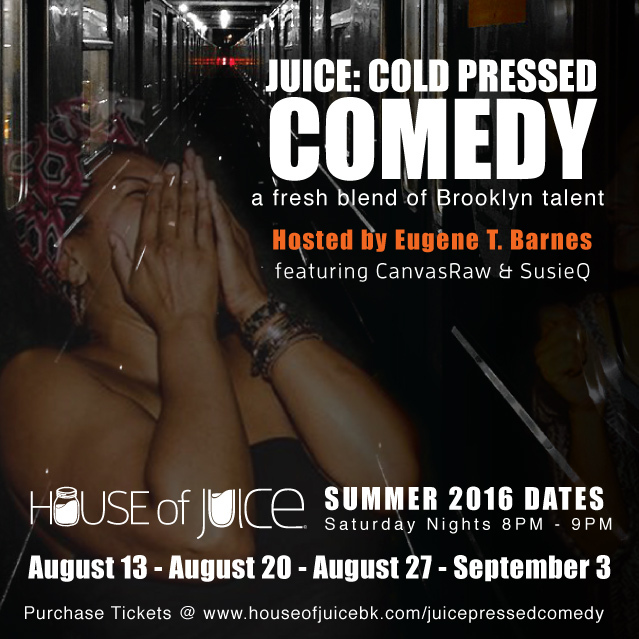 Juice: Cold-Pressed Comedy is a healthful four-part summer comedy series that blends nourishment with art and laughter taking place Saturday August 13, August 20, August 27, and September 3 at House of Juice in Lefferts Gardens. 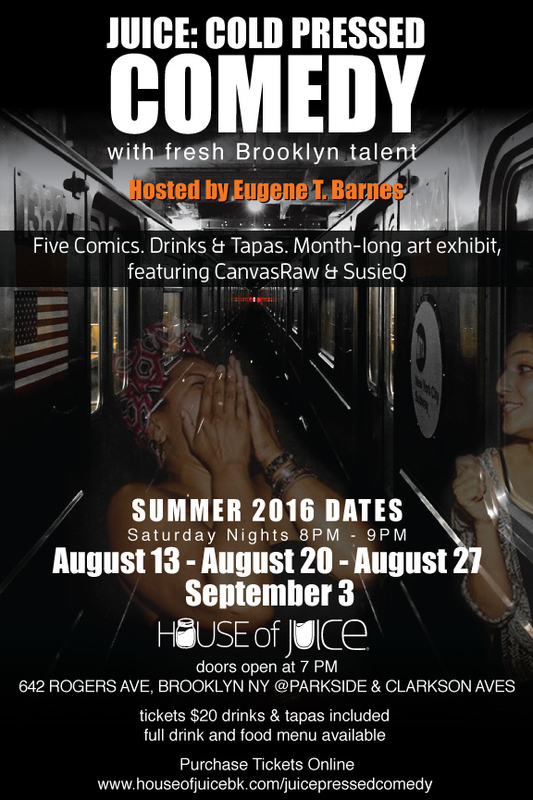 Brooklyn, NY, July 20, 2016	(Newswire.com) - Healthful four-part summer comedy and visual art series Juice: Cold-Pressed Comedy is blending two modes of self-expression to unite the evolving local community and encourage healthful modes of entertainment. Presented by House of Juice, a garden-to-cup juicery that uses local organic sources, the series will take place Saturday August 13, August 20, August 27, and September 3 from 8PM-9PM at 642 Rogers Avenue in Prospect Lefferts Gardens. “Laughter is an important component of a person’s spiritual nutrition. We’ve created a menu that energizes and nourishes the body and realized we needed to do the same for the mind by coming up with a healthful mode of entertainment for members of our changing neighborhood and city could seek solace in,” House of Juice co-founder Danii Oliver said. Our lineup includes ABC The View’s Most Hilarious Housewife Contest finalist Debbie Bazza; BET Apollo Live performer Alex Carabano; SiriusXM The Check Spot host Emma Willmann; and many more hilarious movers and shakers on the NY comedy club scene. A work from each artist will be raffled off with the winner selected on site at the show’s end. 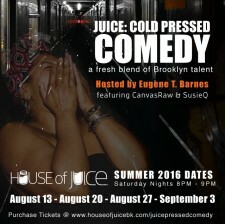 Sign up for email updates from House of Juice.